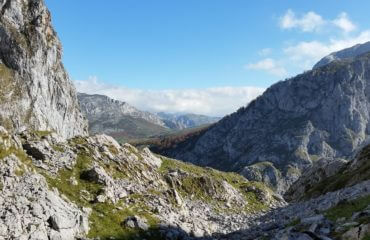 The Picos de Europa consists of three massifs Central, Eastern and Western. 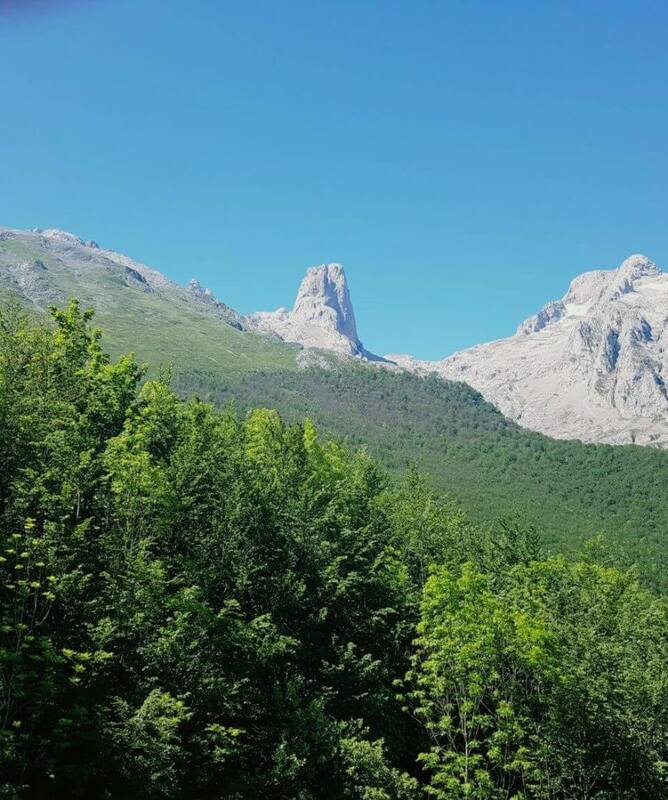 The Picos are mainly limestone and thousands of years of weather and glacial action has sculpted the peaks into some awesome landscapes. 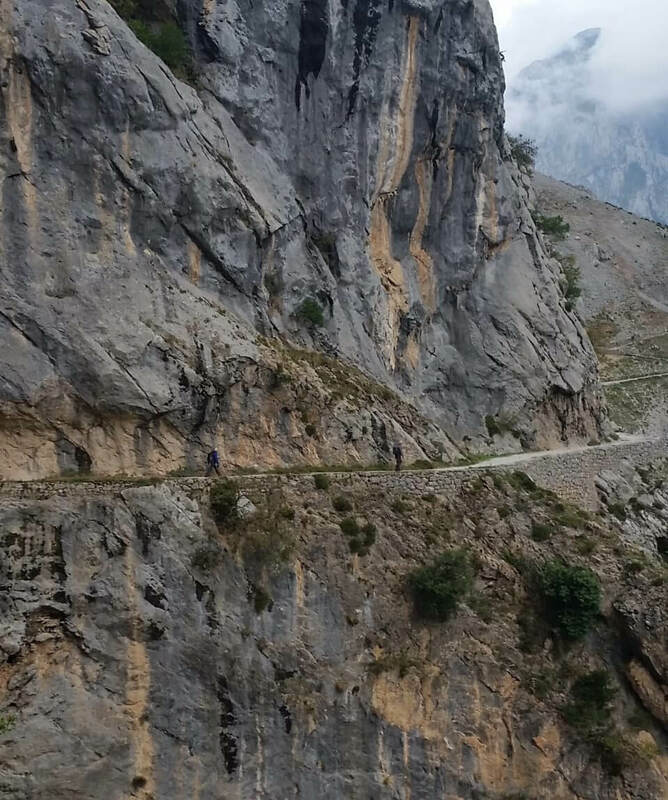 The central and western massifs are separated by the breathtaking Cares Gorge(Garganta del Cares), a 1.5km deep gorge with a stunning path running along the water canal that feeds two hydro electric stations. 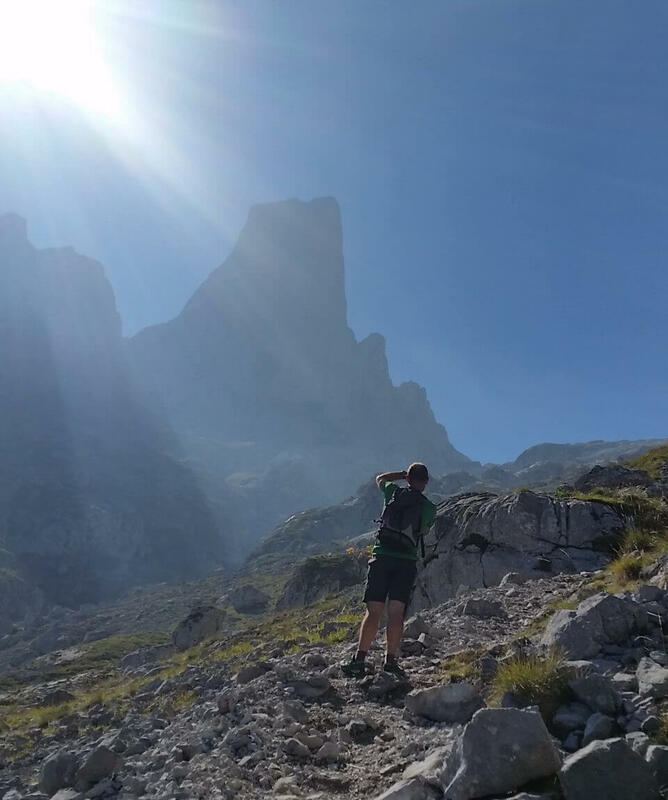 The highest peak is Torre de Cerredo at 2650m but the most recognisable peak is Naranjo de Bulnes or Picu Urriellu at 2529m. 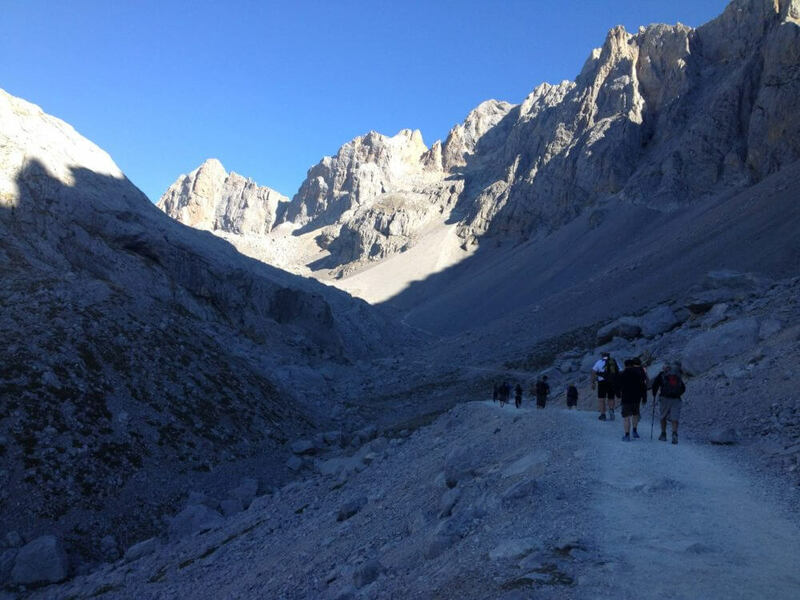 We have designed this self guided walking holiday to walk some of the best bits of the Picos de Europa. You walk through the Eastern and Central massifs and utilise the El Cable(cable car) at Fuente De to gain 850m and to make the walking easier for some. 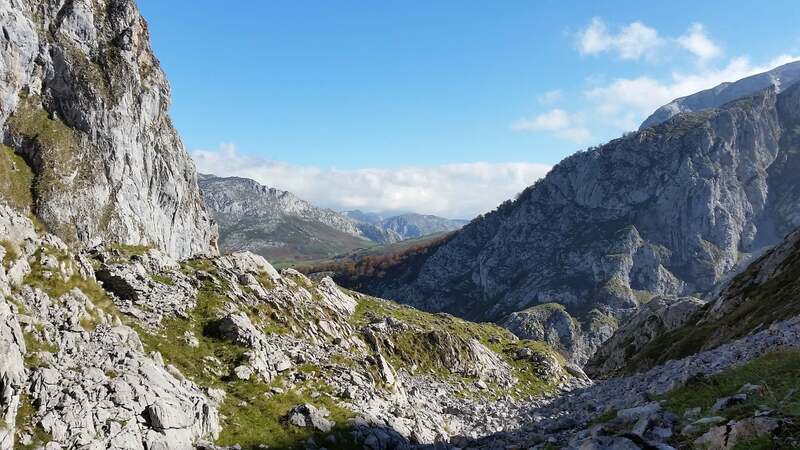 You walk to the beautiful village of Sotres straight over the Eastern massif below the foot of the peak of Naranjo de Bulnes and also walk to Bulnes which until 2001 was not connected by any transport but now the Funicular train connects the village to main road. 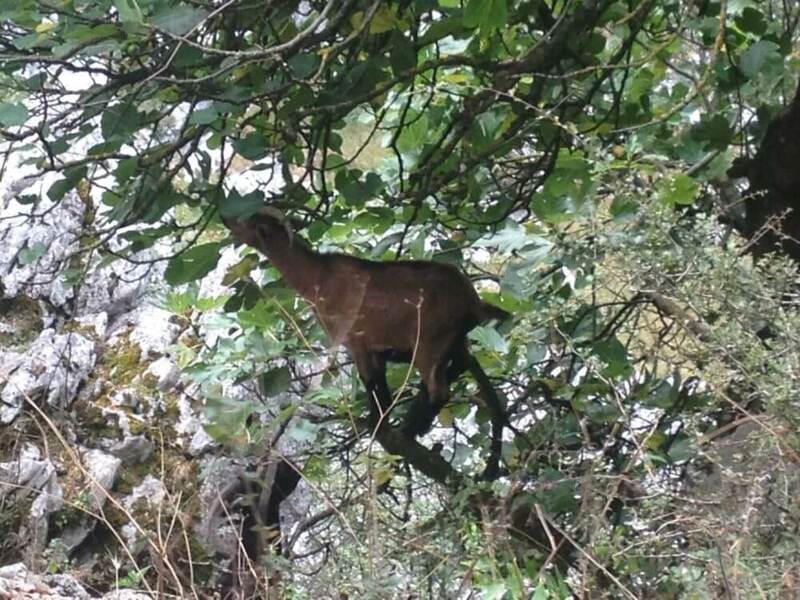 Then you walk the Cares Gorge. 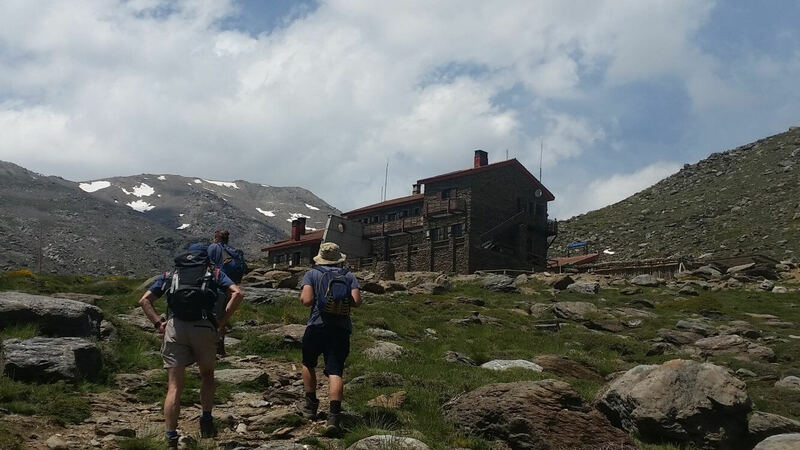 The walking holiday stays for 2 nights in each hotel, your luggage is moved onwards for you to the next hotel. 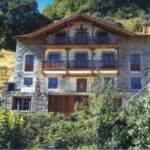 We have chosen family run hotels that are good quality, comfortable and cook quality local traditional food. All the rooms are en-suite. We use local taxi drivers and we keep your transport to a minimum. 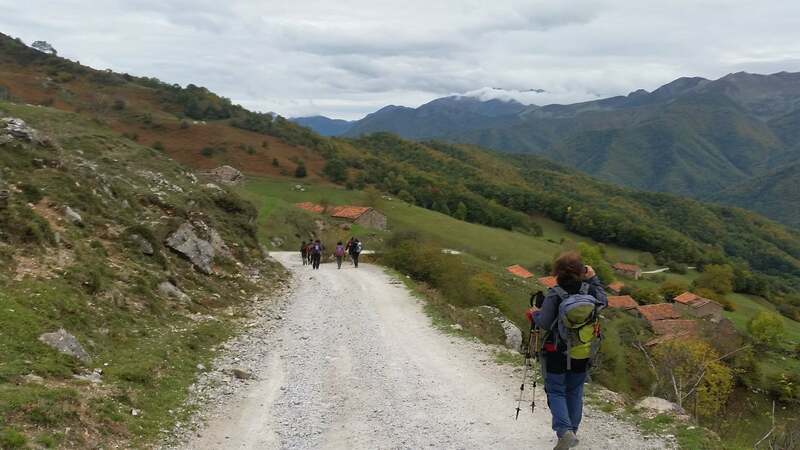 On Day 6 – you can choose to either spend you free day in Santander or Bilbao, or stay in Arenas De Cabrales and walk another day. 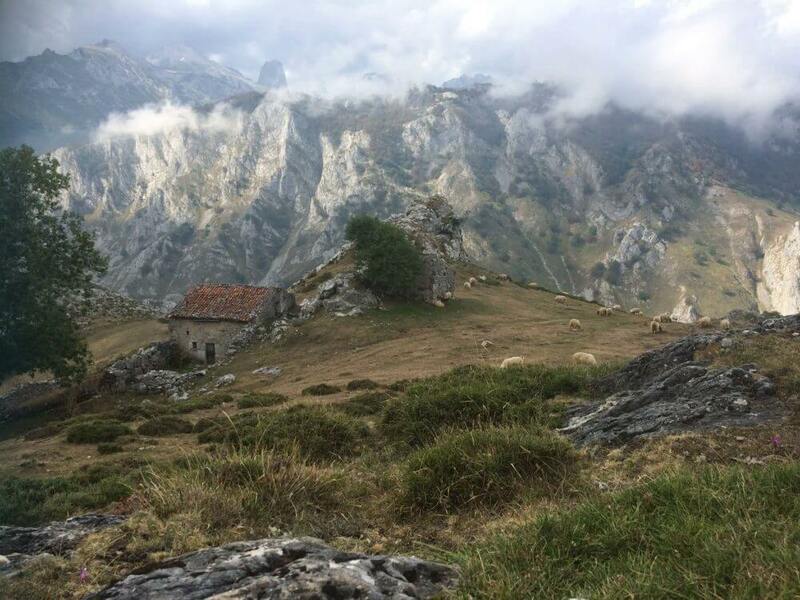 You can change any of our self guided walking holidays to suit you, just get in contact to discuss your holiday with us..
All about the Walking Picos De Europa Self Guided Holiday. 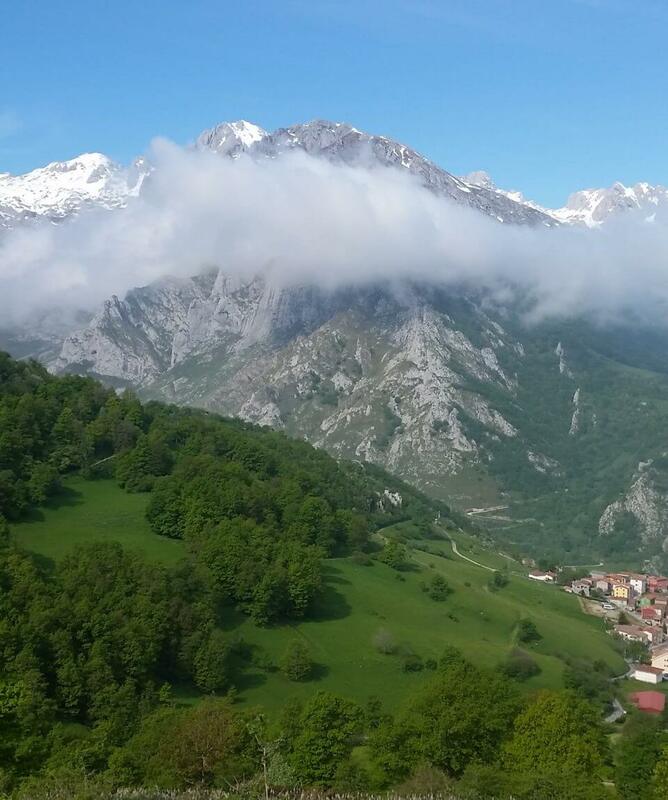 A self guided walking holiday based in the stunning Picos De Europa. 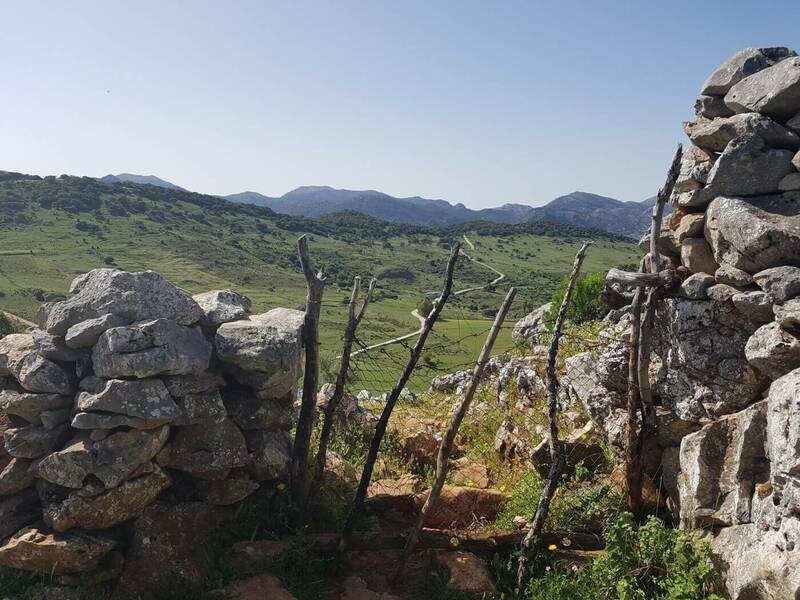 This is an amazing place to walk – with the walking season only available between June and October we have created a hiking itinerary that takes in the best walks of the area. We transfer from Bilbao to Espinama the first hotel for 2 nights. 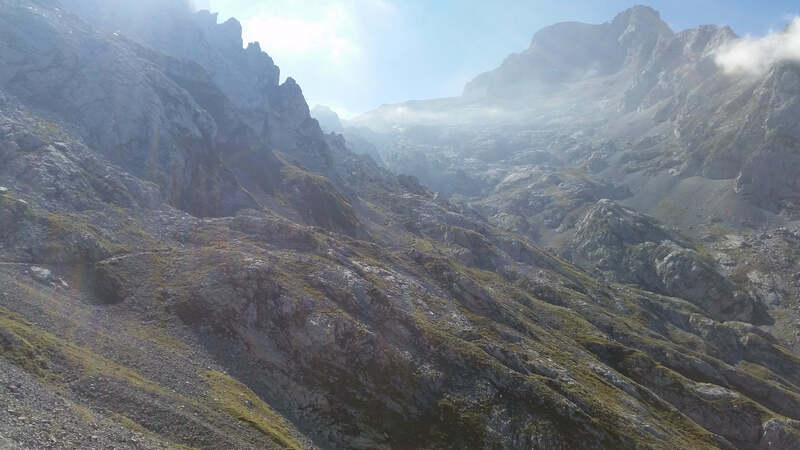 Your first walk takes us to Fuente de and up the cable car for a great high level walk to Refugio Veronica before coming back via a different route. 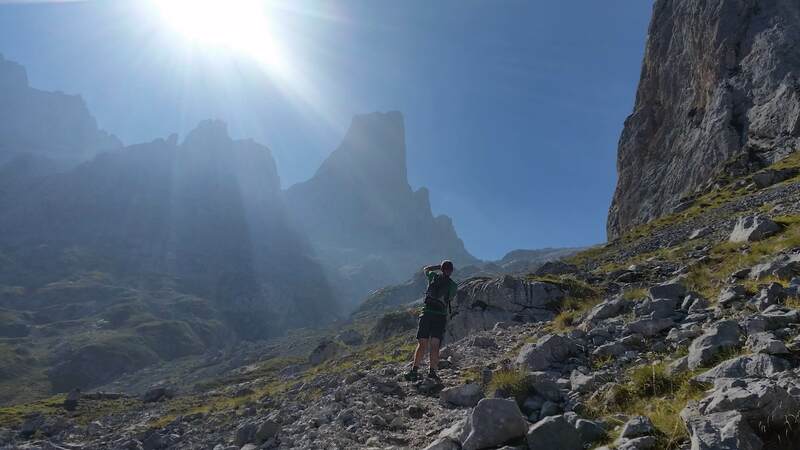 The next day you can either walk the GR7 to Sotres or go back to Fuente De and take the cable car again before a long steady descent to Sotres. 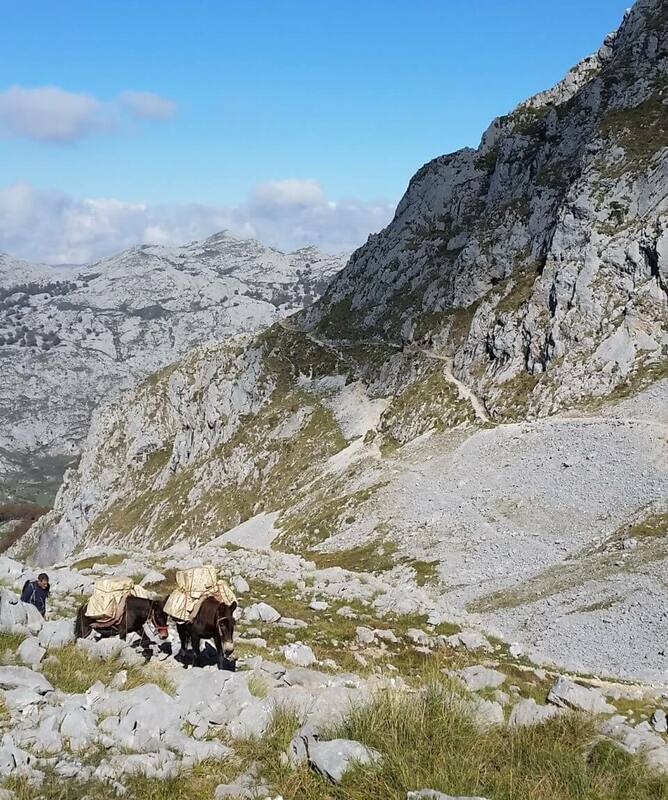 Now in Sotres for 2 nights we stay at the Pena Castil – before you do a lovely circular walk to Tielve, where we will try the Queso de Cabra, a heady blue cheese, before returning along a lovely old mule track. 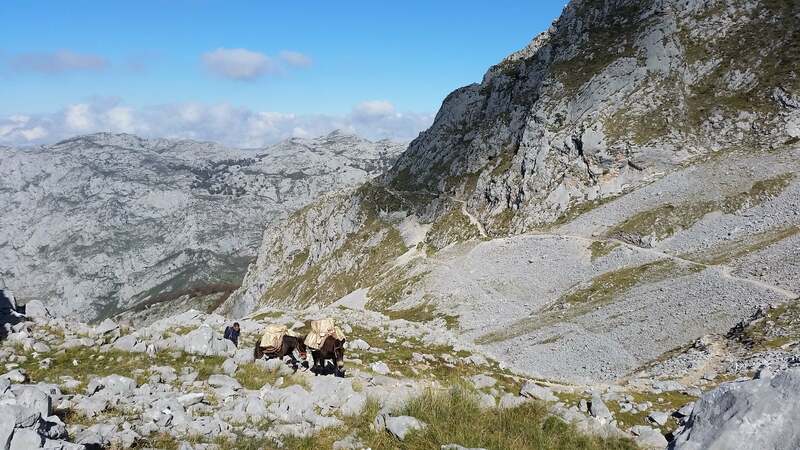 The next day we walk to Bulnes, only recently connected by motorised vehicles. 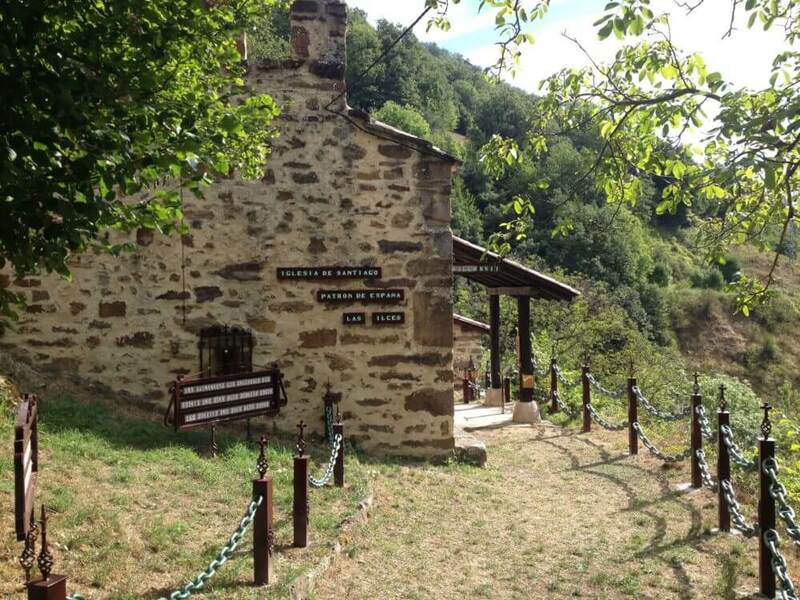 Here you can either take the funicular train down to Poncebos or walk down along a beautiful gorge. 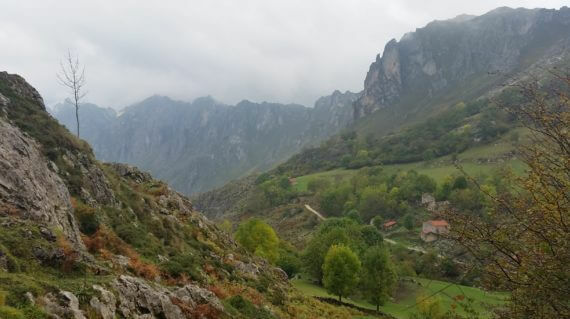 From Poncebos we transfer to Arenas De Cabrales for 2 nights. 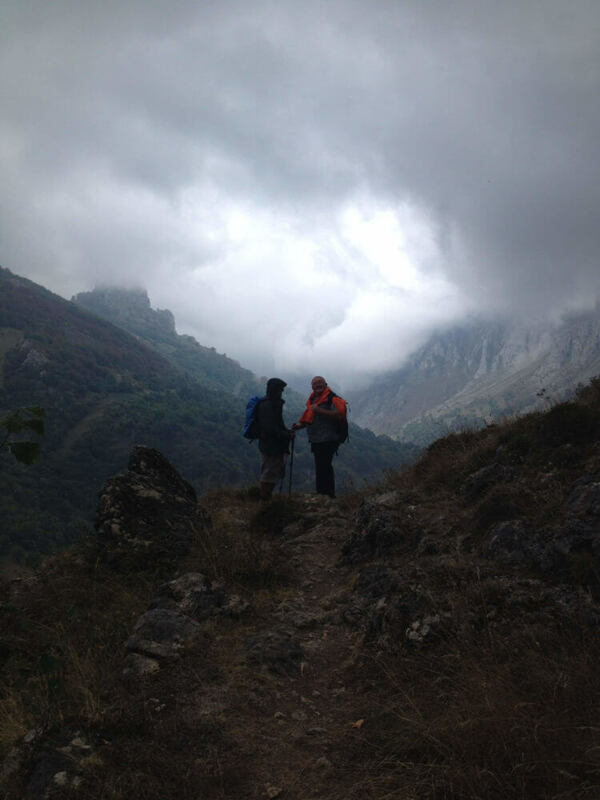 From here you will walk the famous Cares gorge – a spectacular walk along the gorge and through tunnels all the way to the village of Cares before retracing your footsteps. The last day you transfer in the morning to Santander or Bilbao, where you have a free afternoon and night to explore these fascinating cities. 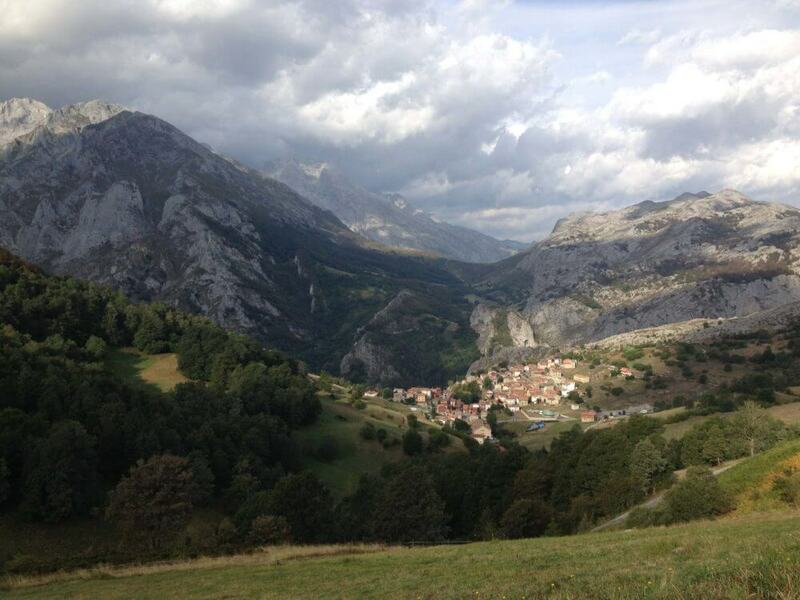 Or you can walk another day in Arenas De Cabrales. 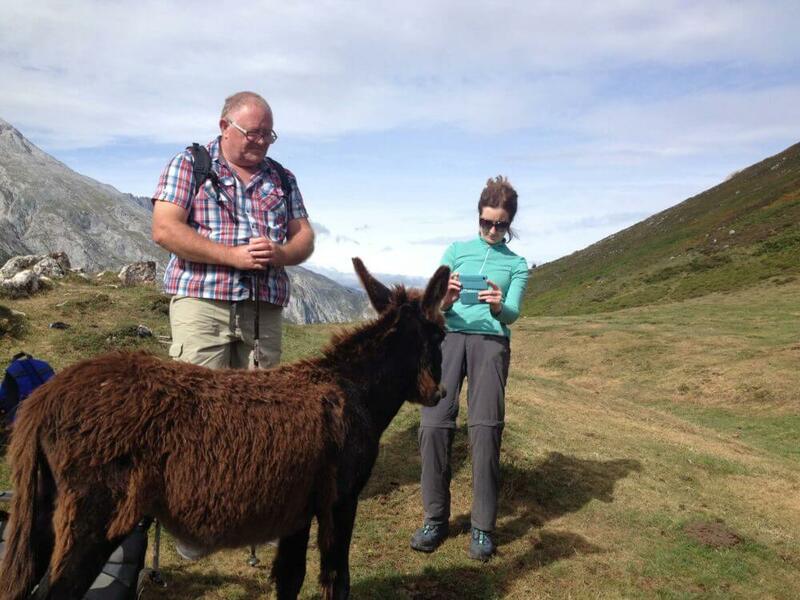 All our self guided holidays can be tailormade to suit your days/dates and if you want to change anything please contact us. Hotel in Espinama. We can arrange transfers from Bilbao or Santander. Hotel Posada Sobrevilla III – Dinner in hotel. 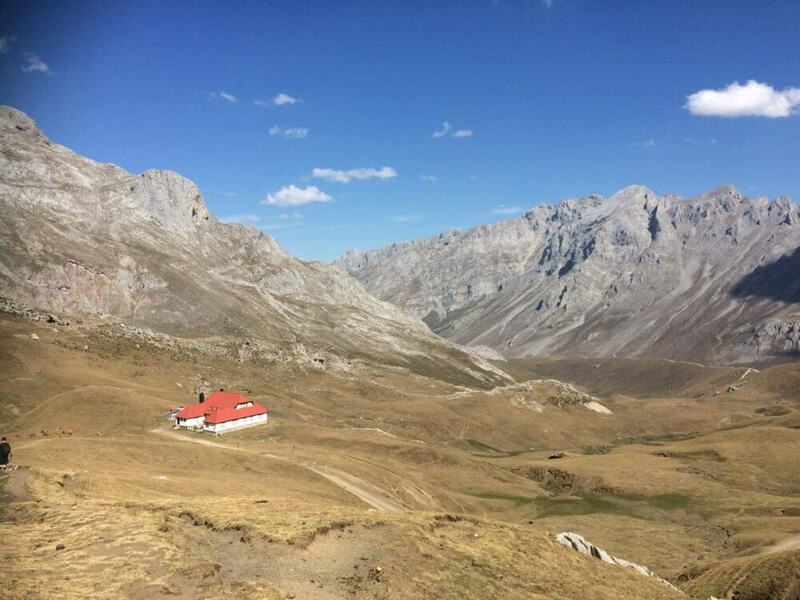 Refugio Veronica Circular 12km – 5-6 hrs – taxi back to hotel from Fuente De. 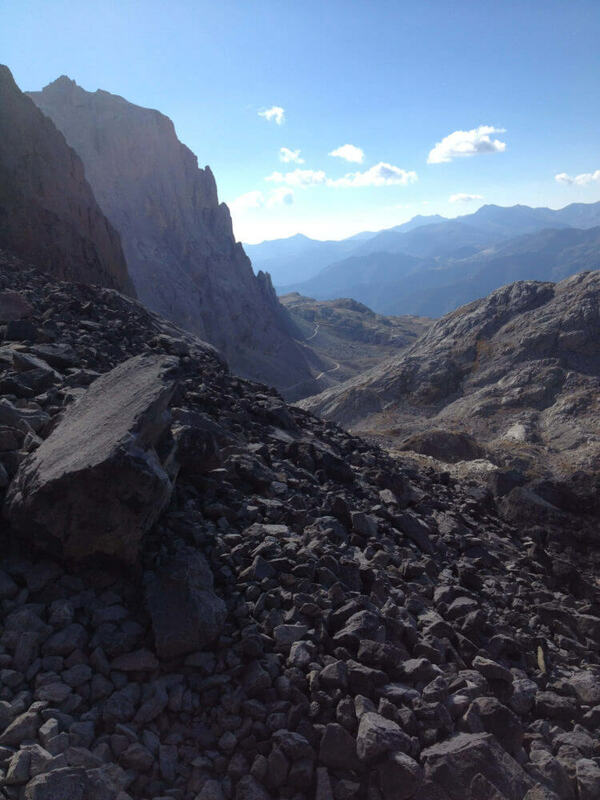 Circular walk to Refugio Veronica taking in some vast views of the Picos De Europa. 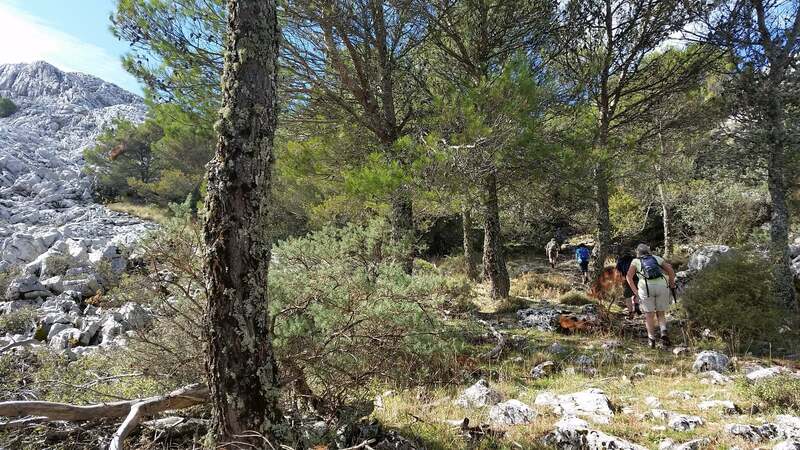 A stunning walk right over the Central massif through the limestone landscape, walking along good paths but must be wary of navigation. 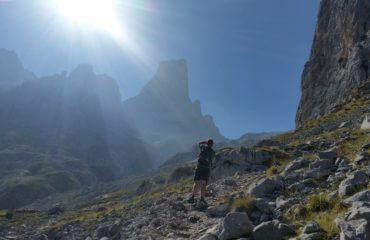 All the way to the refugio at Naranjo de Bulnes(lunch can be bought here). 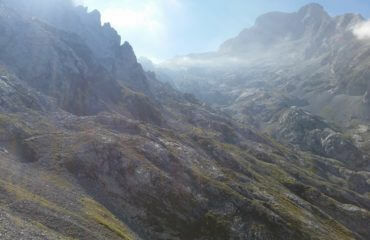 Enjoy the dramtic peak above you before the beautiful long descent down in to the valley and on Sotres. 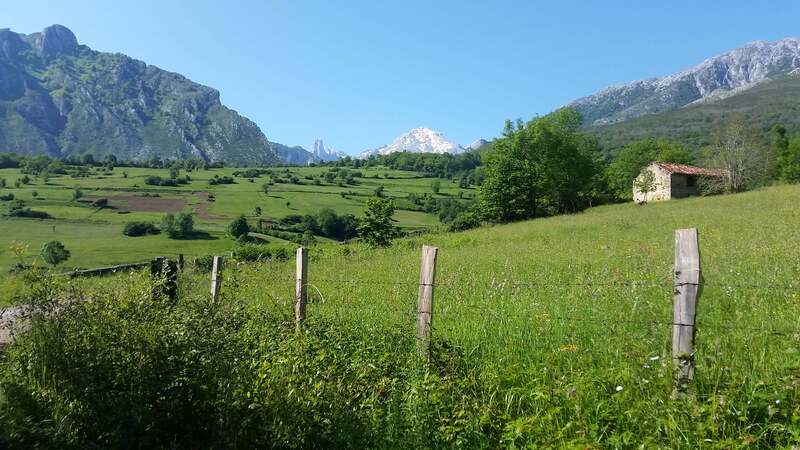 Another great walk rising out of Sotres you will walk over grazing land with some stunning views down the Rio Duje Valley. 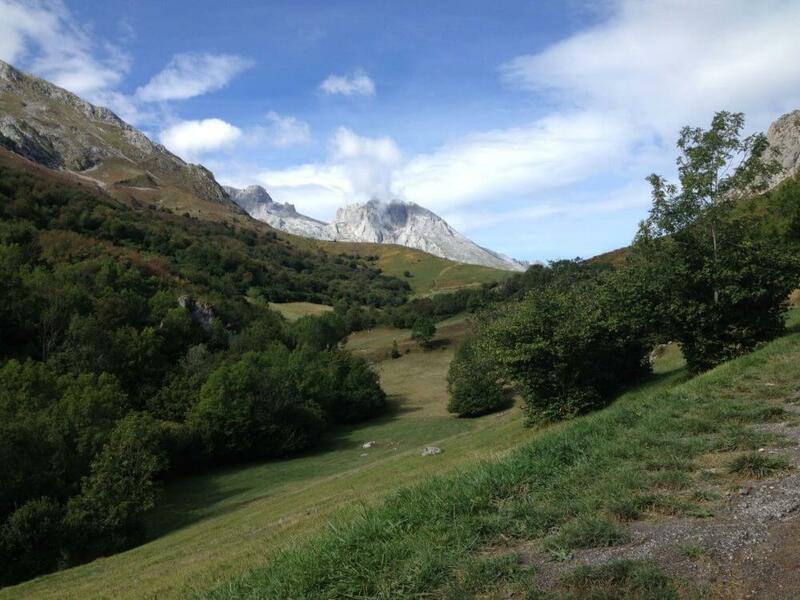 Walk through disused farmsteads along a track before the final descent to Tielve. 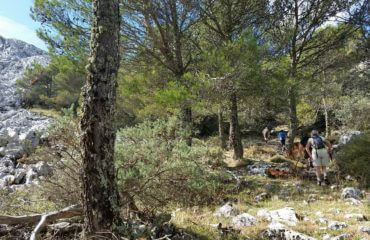 From here you need to walk along little used road for 2km before taking an ancient mule trail back into Sotres. Lunch can be had at the Hostal Duje just a little down the road towards Sotres. 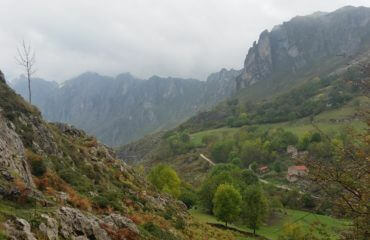 A lovely walk out of Sotres and over the Collado Pondebano and then down to the village of Bulnes. 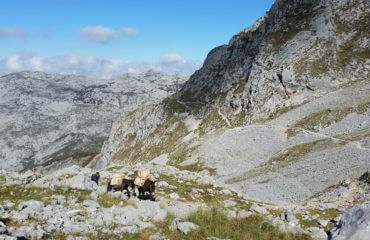 Bulnes did not have any means of access till 2001 apart from on foot. Lunch had at Bulnes. 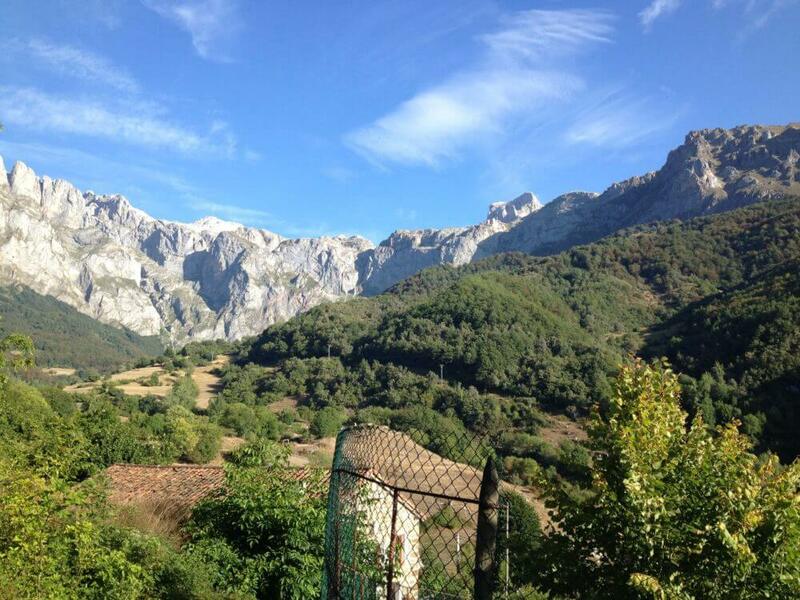 Then you can either catch the Funicular train down to Poncebos or walk along a stunning gorge down to Poncebos. 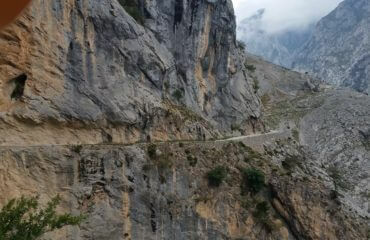 The famous Cares Gorge is 1.5km to the valley floor and is 12 km long to the village of Cain. You will pass through tunnels with amazing scenery. 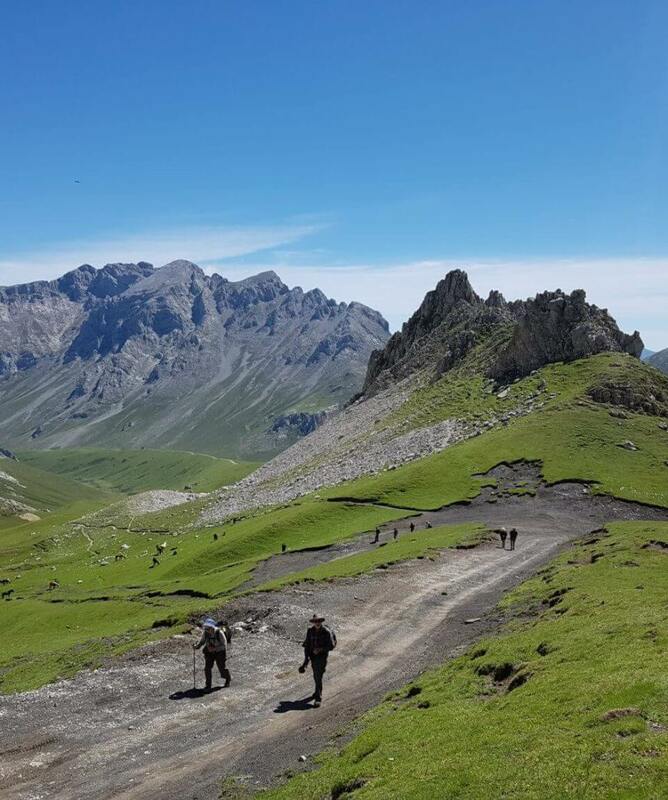 A walk well worth doing. This was built to serve the canal that runs parallel to the path. 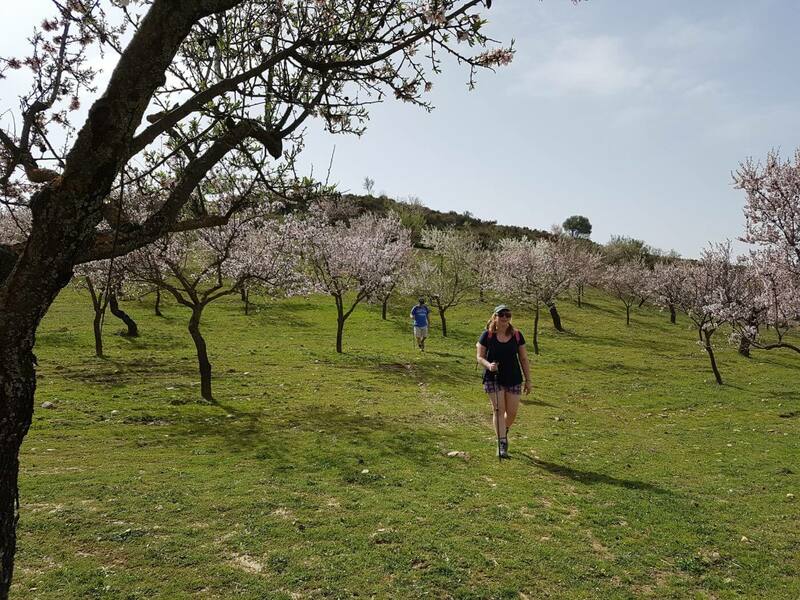 This walk is a return walk to Poncebos, it is 24 km return from the village of Cain(12km each way) It is not hard walking but it is vertiginous. You can walk as long as you want on this day we will walk the full gorge to Cain but people can decide when they have walked enough. 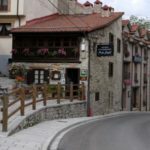 Chance to visit these northern Spanish towns. Both have excellent food and some fabulous sites to visit. An easy walk from Arenas to Poo and back along a charming lane to Arenas. 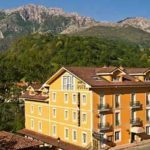 A charming family run hotel in the lovely village of Espinama, Rooms are large and all en-suite. Wi-fi in all the rooms. Situated in the village of Sotres. Very friendly owner. Good sized comfortable en-suite rooms with wifi. Good food. A beautiful modern hotel with large rooms. Large swimming pool open May – Sept. Wifi in bar/restaurant. Excellent restaurant. 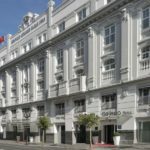 Hotel Sercotel Coliseo 4* Modern hotel with large rooms in a great location to see Bilbao. Great breakfast. Wi-fi in rooms. 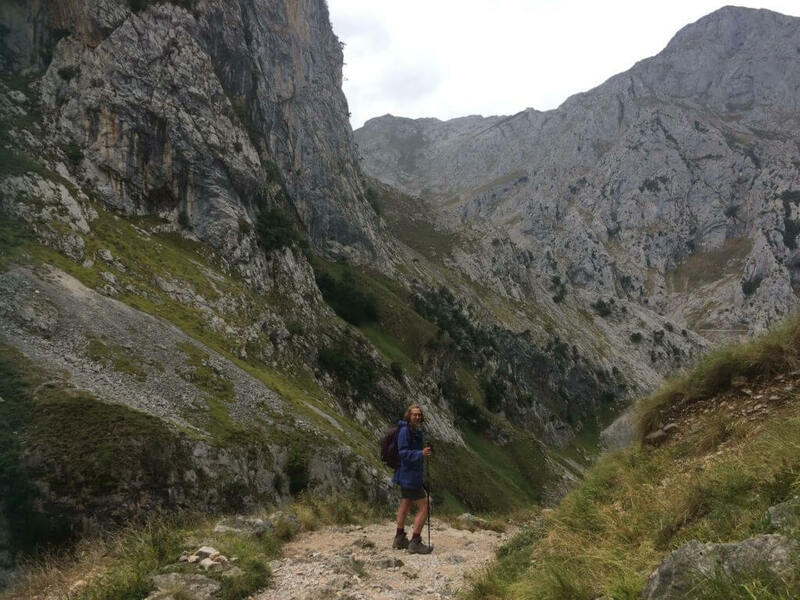 What do I need to bring?What insurance do I need?How many can be in a group?Do you ever cancel weeks?Do I need to walk everyday?Do the hotels cater for my diet?Can I come on my own?How do we get to the Picos de Europa? 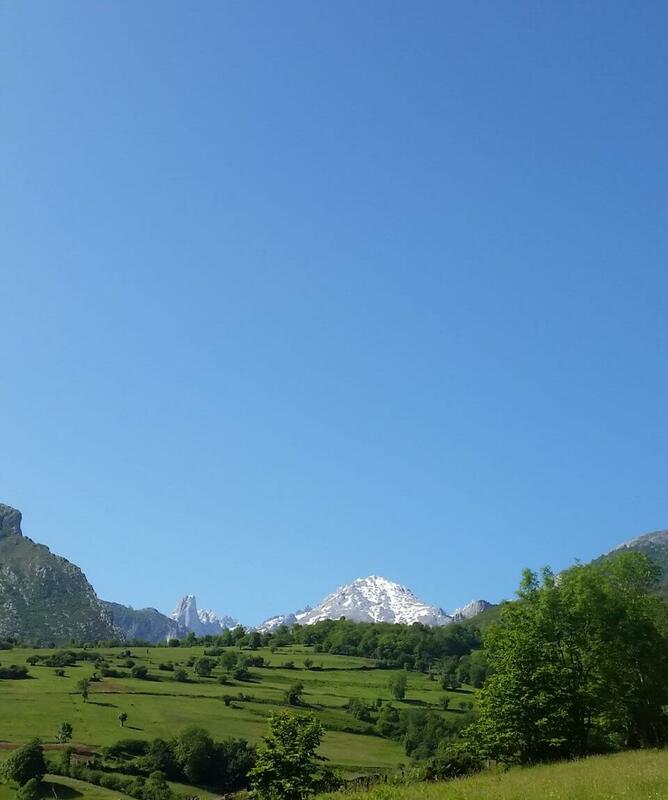 How do we get to the Picos de Europa? 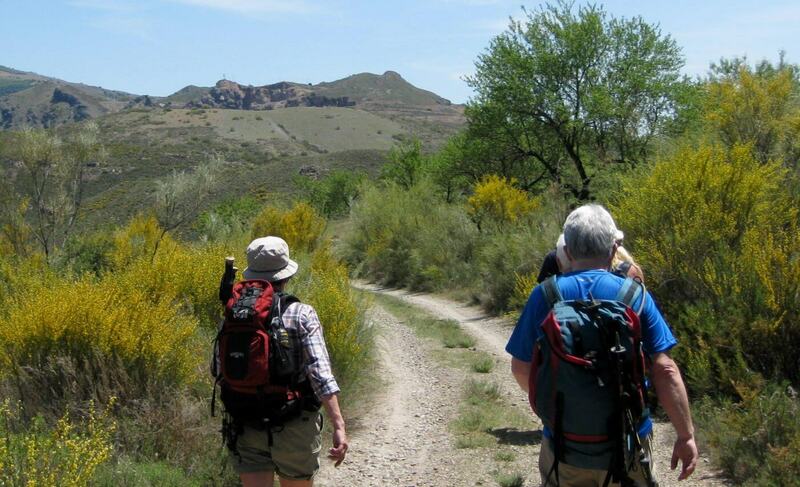 If you are coming self-guided then you can have as many people as you like in your group. 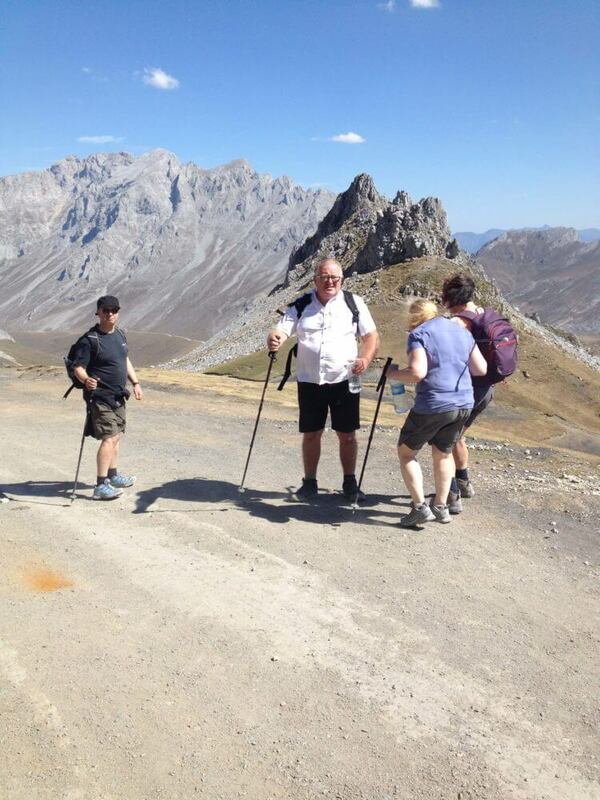 We have organised self-guided walking holidays for groups of 20 before. Contact Us to discuss your holiday. 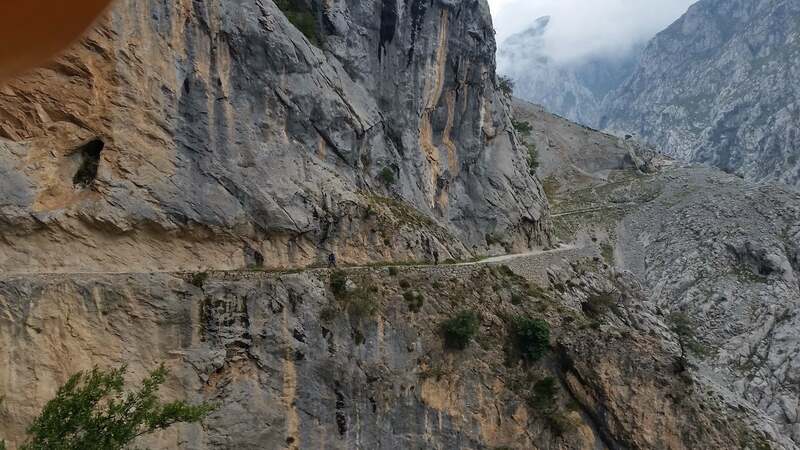 The Picos are quite difficult to get to by public transport – you can do it but it takes the better part of a day and costs roughly 50 Euro per person. We do organise transfers with a very good taxi driver who will meet your flight at either Santander or Bilbao. 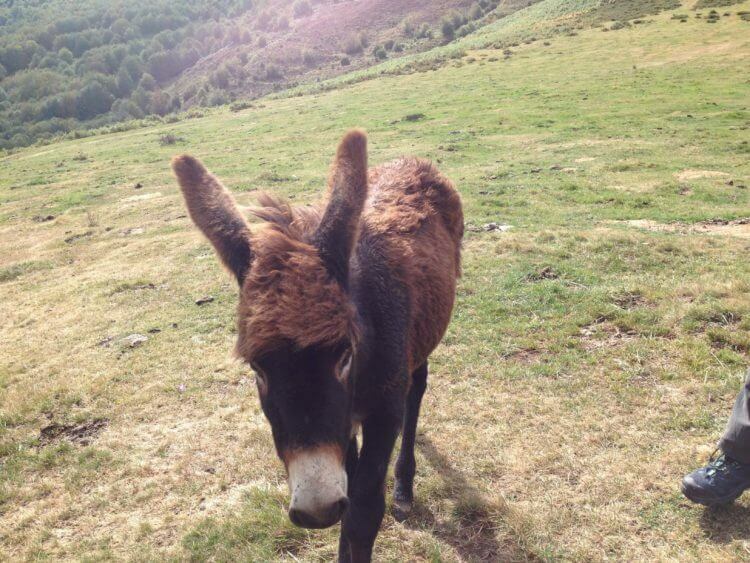 The cost is 200 each way for a group of up to 4 people from Bilbao or 120 each way from Santander. You can hire a car from the airport or if you are coming from another area of Spain. Please contact us if you need any help in arranging either public transport or a hire car.